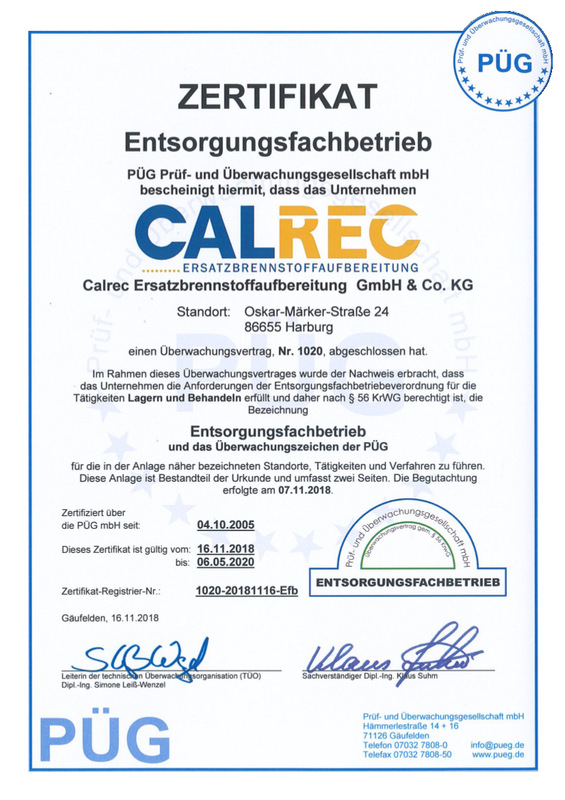 CALREC Ersatzbrennstoffaufbereitung GmbH & Co. KG is a company specialised in the preparation of substitute fuels for energetic recycling. 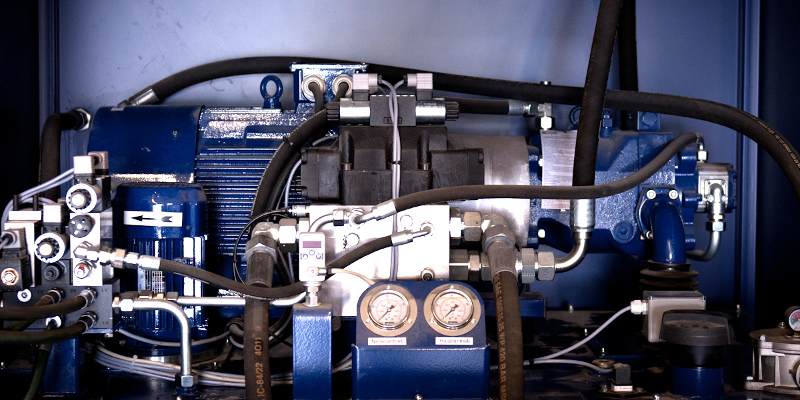 Economically and ecologically sensible solutions are important to us as part of this process. We also ensure reliable crushing of sensitive waste. 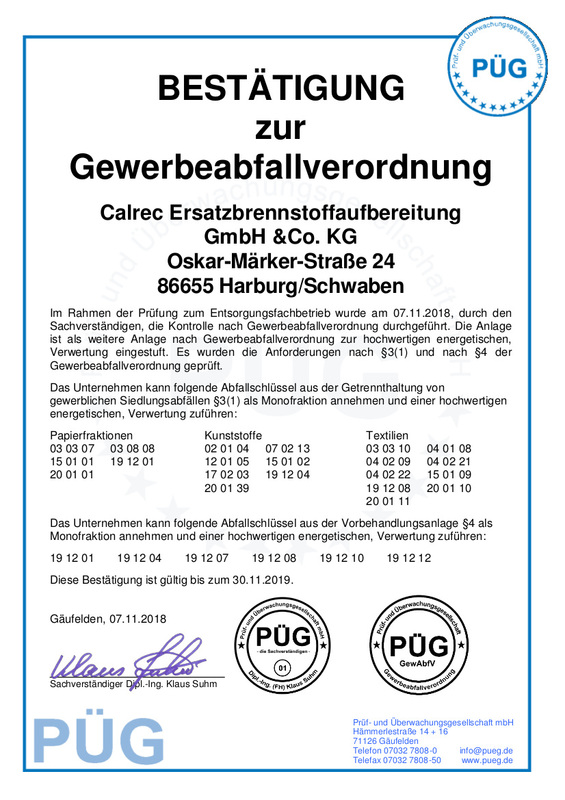 We achieve this by processing the waste directly on the premises of the company Märker Zement in Harburg. Our customers' waste remains in a sealed hall after delivery, always on the premises, and is crushed there. 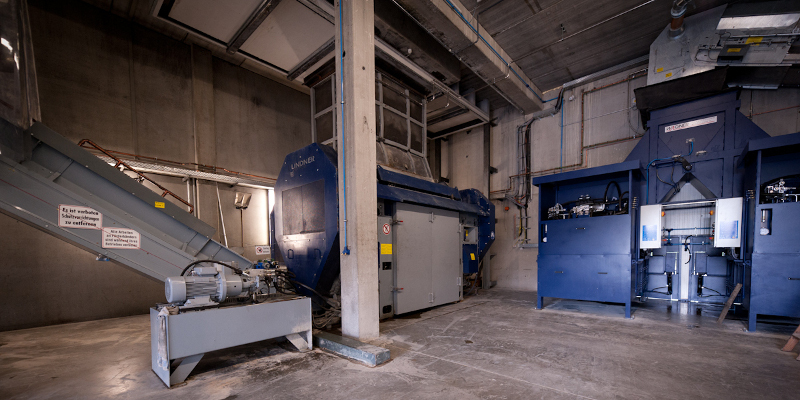 We carry out a joint examination with you of the range of waste directly on your premises. 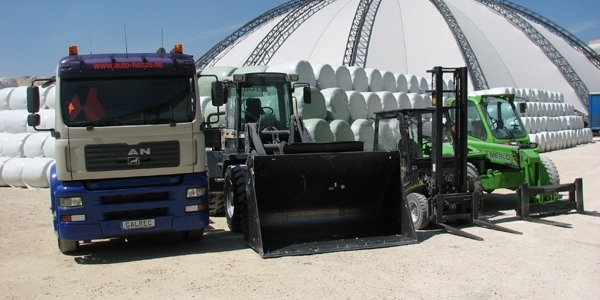 We deliver the waste to the premises of the company Märker Zement. 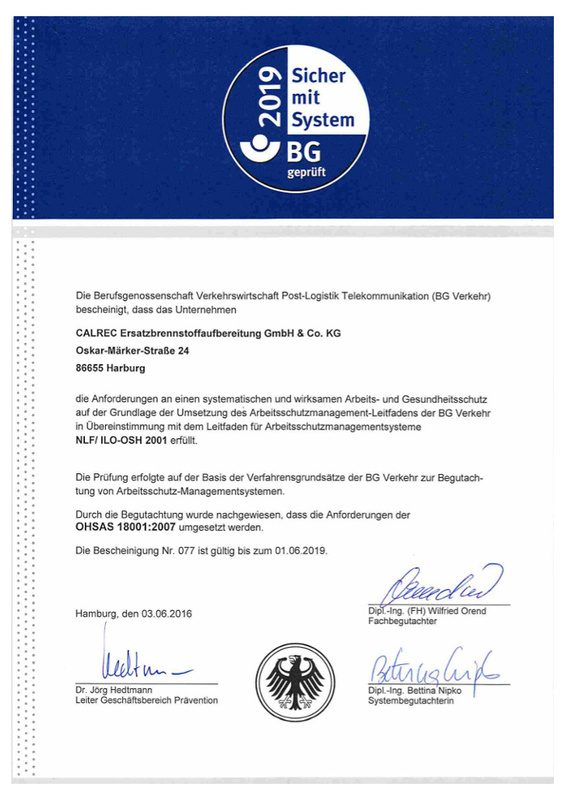 We take on the complete logistics including the provision of containers and transport to Harburg. 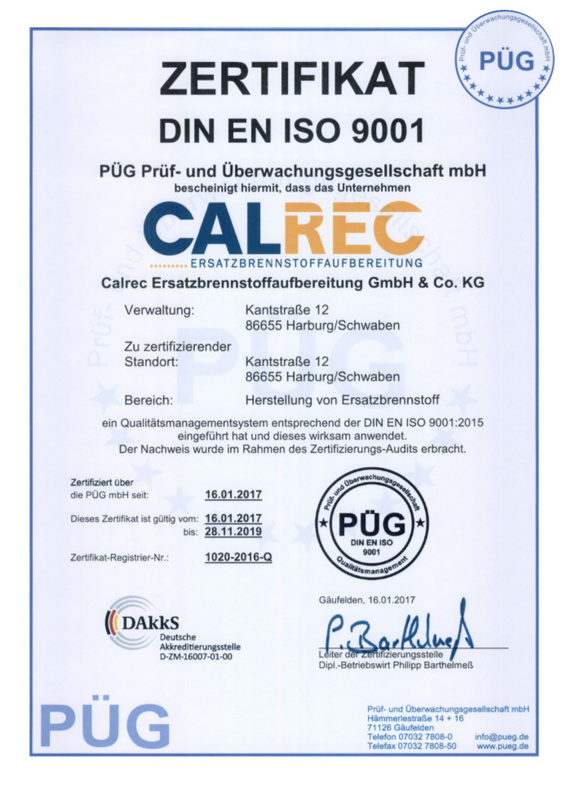 We point out to the waste producer that, in accordance with §§ 6-8 KrWG, the recycling of the material or its reuse have priority. 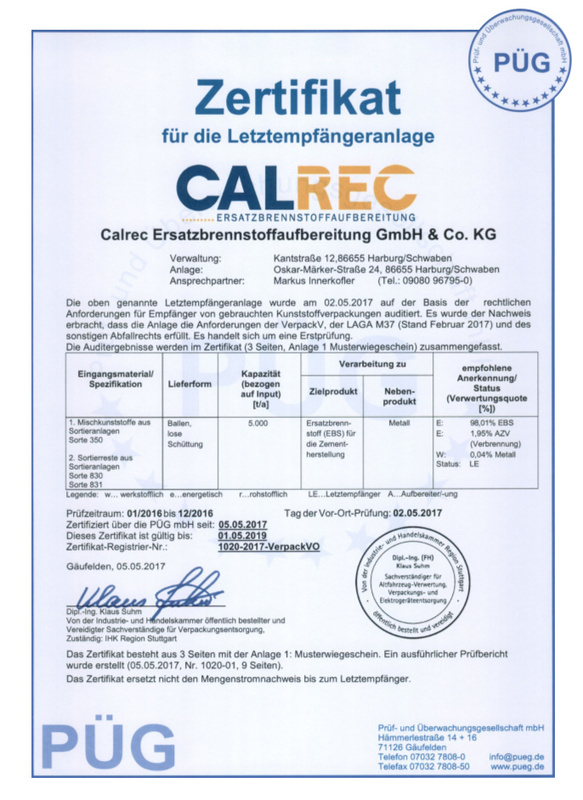 CALREC has the highest priority for occupational health and safety. 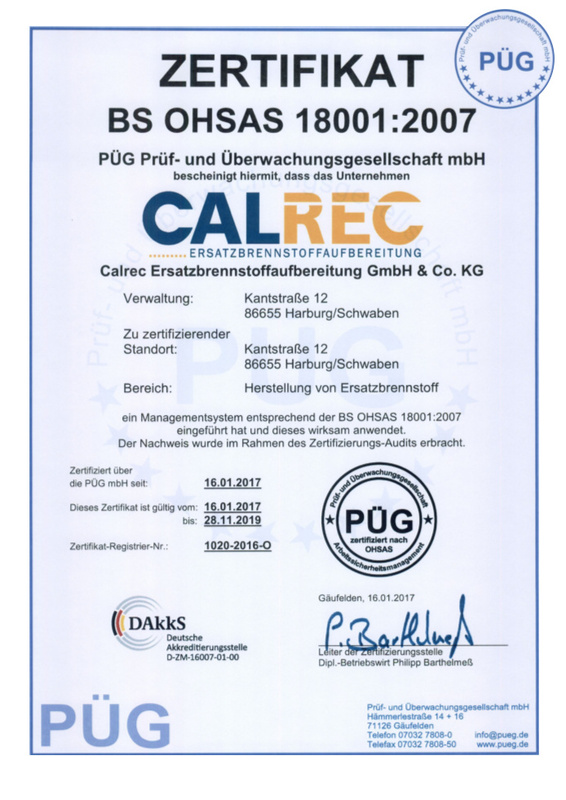 For this reason, we have introduced the Occupational Health and Safety Management System (AMS), which has been certified by BG Verkehr and also by OHSAS 18001 by the PÜG audit and monitoring company. 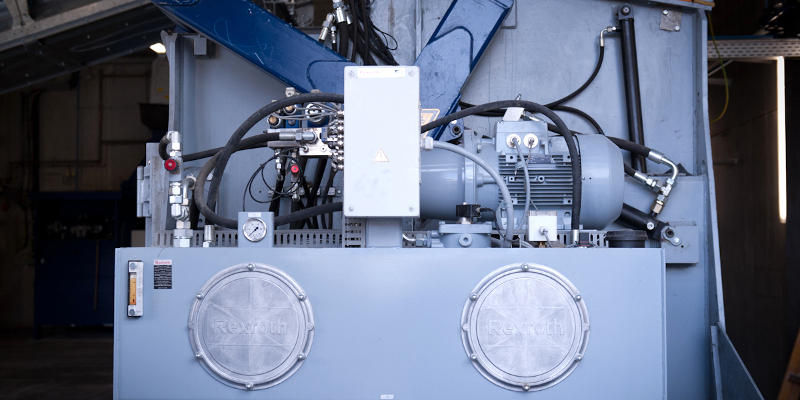 Our goal is to avoid accidents and to continue to produce a high-quality, quality-assured fuel.